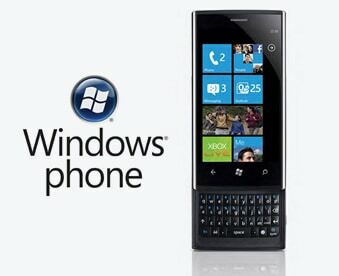 We develop powerful applications based on Microsoft Windows Mobile platform. Our vast Windows technology expertise ensures delivering high quality mobile applications. ANGLER as a leading Mobile App Developer in India provides an operating environment for handheld computers from Microsoft, based on the Windows CE operating system. In 2000, Microsoft introduced the Pocket PC platform that included a combination of Windows CE Version 3.0, an enhanced user interface, Pocket Office applications (Internet Explorer, Word and Excel), handwriting recognition, an e-book reader, wireless Internet and longer battery life. At ANGLER, we have a team of experienced and professional Windows mobile application developers who have been developing all kind of Windows mobile applications under all major Windows Mobile platforms, such as Windows Mobile 5.0, Windows Mobile 2003, Windows Mobile 2003/SE, Windows Mobile 6, Windows Mobile 6.1, Windows CE, Pocket PC 2002, 2003, and Pocket PC Phone Edition. Our Windows mobile app developers also have some good experience in porting / migrating Windows Mobile apps to other platforms and also offer app migration / porting services from Windows Mobile to other mobile platforms. ANGLER Technologies offers Offshore Development Center (ODC) services for customers globally in India, UK, USA, Canada, Singapore, Dubai, Hong Kong & Australia. The Pocket PC was designed to compete more directly with the popular Palm devices. Pocket PC is part of the Windows Mobile platform and was renamed Windows Mobile Classic and Windows Mobile Professional in 2007. ANGLER emphasizes on producing performance based Windows Mobile Application Development and attractive user interface by customizing the controls. Contact us today to know more about our Windows mobile application development services or to hire our Windows mobile app developers for your needs.